Bet you thought all gaming headsets were the same eh? Well LucidSound are stepping up and taking the gaming headset market to the next generation. Want the first details surrounding the new LS31 and LS41? Designed for the modern multi-platform gamer in mind (corporate speak for ‘these headsets work on most games consoles’), the LucidSound LS31 and LS41 are the latest sets to come out of the gaming’s fastest growing premium headset brand. And should you be at E3 between the 12th-14th June, will find them taking centre stage. 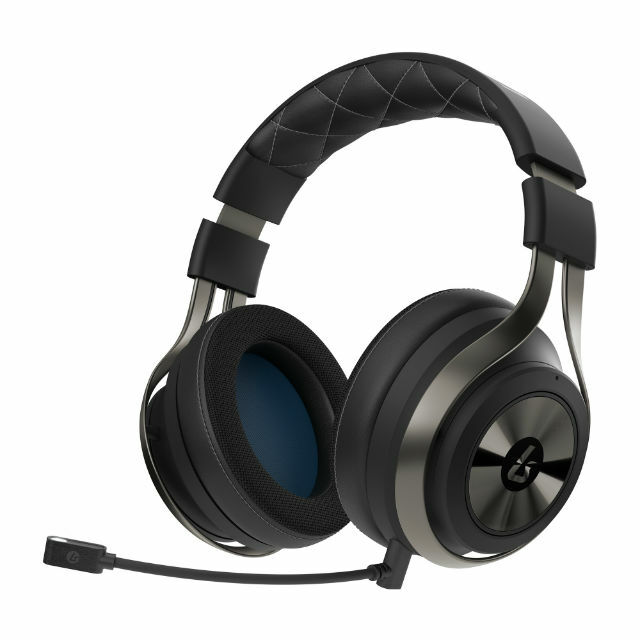 Replacing the LS30 and LS40 headsets respectively, you’ll find that these two new offerings will come with a whole host of enhancements to ensure that gamers are able to enjoy outstanding audio, crystal clear chat and extra comfort. A premium wireless headset for gamers at all skill levels. Delivers clear chat on Xbox, PlayStation and PC. Upgraded drivers and amplification deliver accurate audio without distortion. New oval earcup design delivers a more comfortable experience and noise isolation. Boom-mic features improved pick up accuracy and durable connectors. Flexible headband provides extra comfortable to wear for extended gaming sessions. Optional EVA Carry Case designed exclusively for the headset. A premium wireless headset for advanced gamers. Delivering rich DTS® Headphone:X®1 Surround Sound across a all current gen consoles. High-capacity rechargeable battery significantly increasing its running time for sustained gaming sessions to over 20 hours. New improved USB transmitter design allowing for much improved placement when connecting to the host console. Delivers clear chat on Xbox, PlayStation® and PC. The new LS31 and LS41 will be appearing via invite only at the LucidSound suite at E3 2018.